Sweet River was surrendered to our rescue after being adopted from us at about 9 months of age, and returned 2 years later, They have no time for him. 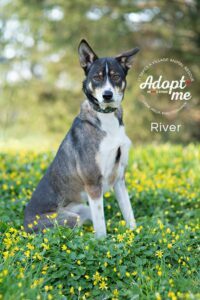 River is thought to be a Husky Shepherd Whippet Mix and weighs about 45 pounds. He is a sweet boy and full of energy, He likes to play ball and tug a war with anyone willing to give him the time. River used to love the water; I am hoping he still does. He can be a little shy at first, but once you show him you are his friend he opens ups up pretty quickly. River is crate trained and housebroken. He sits for his treats and gets along with the dogs in the rescue. 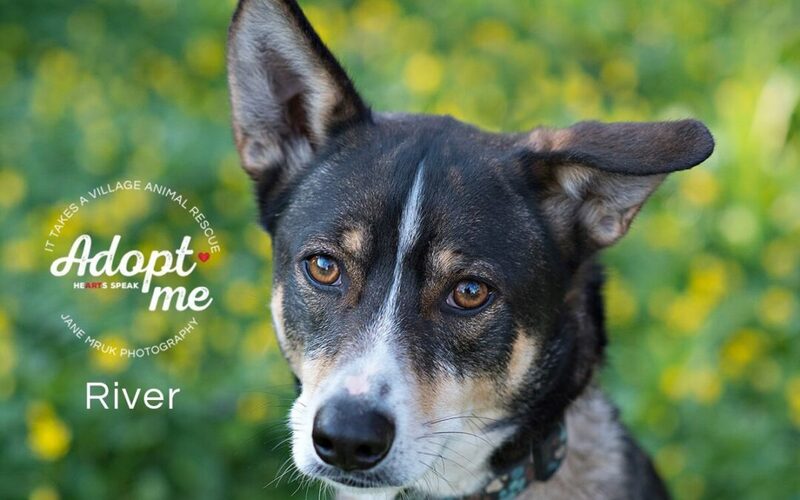 He would love a home with another dog and he would also make a great jogging or running partner. River sill need a fenced in yard since he loves being outside. River is neutered and up to date on his vaccines. If you are interested in River please fill out an application.